DreamWorks Animation and 20th Century Fox issued a slew of new release dates today for upcoming projects, including the just announced Madagascar 4 (May 18, 2018), Puss in Boots 2: Nine Lives and 40 Thieves (November 2, 2018), along with previously-announced projects such as The Croods 2 (November 3, 2017), Larrikins (February 16, 2018), Boss Baby (March 18, 2016) and the Hitman reboot Agent 47 (February 27, 2015). Madagascar 4 currently doesn't have any competition in the May 18, 2018 release date, but it will come just two weeks after Sony's The Amazing Spider-Man 4 on May 4, 2018. It isn't known who is writing or directing the follow-up, or if voice cast members Ben Stiller, Chris Rock, David Schwimmer and Jada Pinkett Smith will reprise their roles. Puss in Boots 2: Nine Lives and 40 Thieves currently has its release date all to itself as well, although it isn't known if any filmmakers are attached, or if Antonio Banderas and Salma Hayek will return for the animated sequel. The Croods 2 is all by itself in the November 3, 2017 release date slot for now, although it comes just two weeks before Universal and Illumination Entertainment's How the Grinch Stole Christmas on November 17, 2017. The Croods voice cast members Nicolas Cage, Emma Stone, Ryan Reynolds, Catherine Keener, Cloris Leachman and Clark Duke are expected to return, with Chris Sanders and Kirk De Micco writing and directing. Larrikins does not face any competition in its February 16, 2018 release date. the project was first announced back in June 2013, when Australian musician/comedian Tim Minchin came aboard to provide the score. 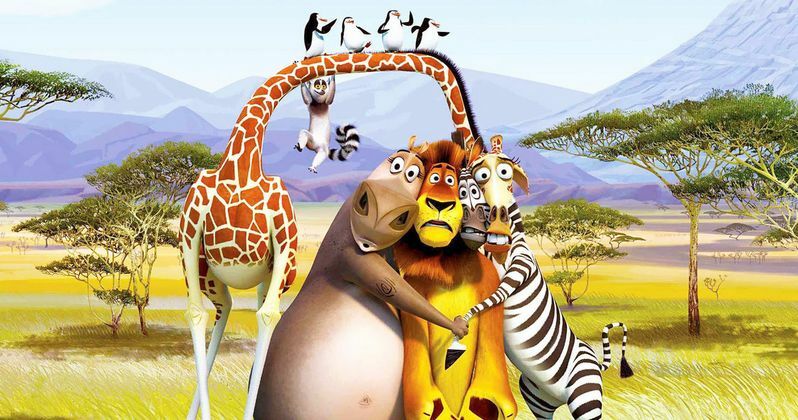 Harry Cripps wrote the script for this animated musical, which is set in the Australian Outback, following a group of mischievous animals. No plot details have surfaced for Boss Baby, which will be directed by Tom McGrath, but it will go up against The Divergent Series: Allegiant: Part 1 on March 18, 2016. Agent 47 will go up against Focus Features' Selfless and Focus on February 27, 2015. Rupert Friend stars as the title character, a highly-trained assassin who works for a shadowy organization. Zachary Quinto, Hannah Ware, Thomas Kretschmann and Ciarán Hinds also star. 20th Century Fox also moved director Kevin Lima's Mumbai Musical from March 18, 2016 to March 10, 2017, where it doesn't face any direct competition.